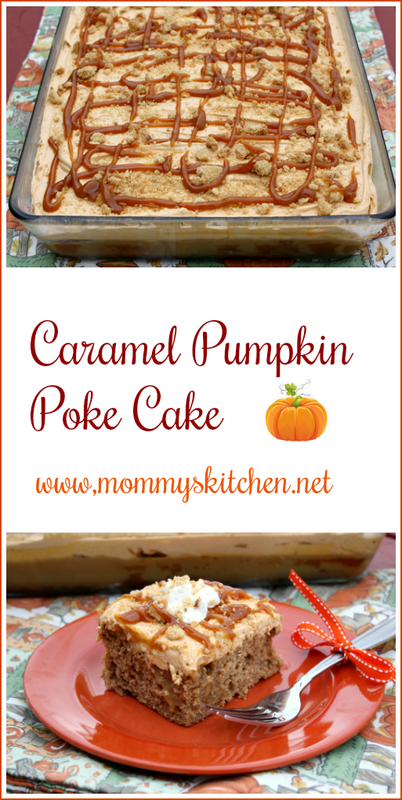 This moist pumpkin cake is poked and filled with caramel sauce, topped with a fluffy pumpkin whipped topping and drizzled with caramel and crushed ginger snaps. My favorite cake recipes are old vintage cakes that I grew up on back in the day. Vintage and Southern Cakes are a serious thing here in the south. You see most of the cake recipes come from generations before us, and always have a story attached. For me that makes the cake much more enjoyable. I love poke cakes! They are always so moist and yummy. As a child the first cake I ever baked was the classic Chocolate Pudding Poke Cake aka (Stripe it Rich Cake). All it required was a cake mix, cake mix ingredients and chocolate pudding. It doesn't get any easier than that. Fast forward to today and pudding poke cakes have evolved with time. I have seen so many versions and the flavor possibilities are endless. 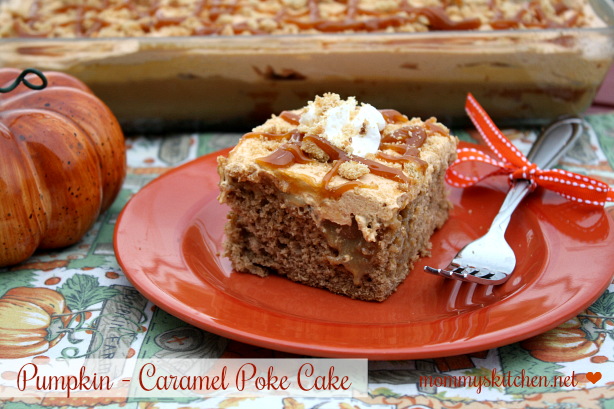 I'm so excited today to share this yummy fall inspired Pumpkin Caramel Poke Cake. Recently I partnered with Marzetti to develop a few recipes using their products, and share them over the next year. 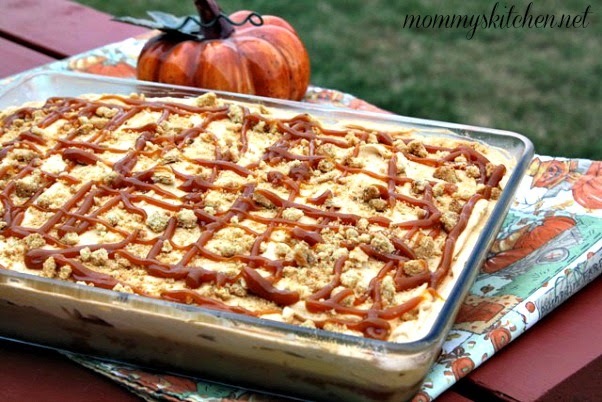 Fall is in the air, so for my first recipe I wanted to share something using their Caramel Dip. I've had this recipe floating around in my head for quite a while now. I told myself as soon as pumpkin season was in full swing I would post the recipe. I have to say this is one of my favorite poke cake recipes! 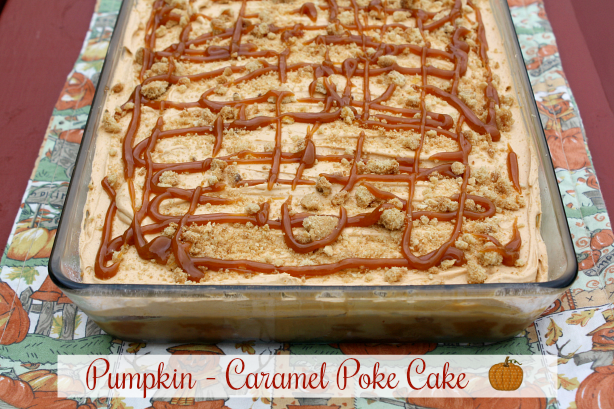 It starts with a baked spice cake, poked with holes and soaked with a mixture of sweetened condensed milk and caramel. Finish it off with a creamy whipped pumpkin frosting, and crushed ginger snaps. To start mix the sweetened condensed milk together with the old fashioned caramel dip, and set aside. Bake the cake according to package directions adding the egg, oil, water and pumpkin. When finished, while the cake is still warm poke holes all over the cake (about 1-inch apart) using a wooden spoon handle or a straw. Pour the caramel mixture all over the cake, aiming for each of the holes. Using an offset spatula spread the mixture evenly making sure the mixture goes into the holes. Refrigerate cake for one hour. Once the cake is cooled, spread the whipped topping frosting evenly over the top of the cake. Garnish with crushed gingersnaps and additional caramel topping drizzled over the entire cake. This cake is very easy to make and will impress everyone. additional caramel dip for drizzling. Preheat oven to 350 degrees. Prepare cake according to package directions adding the oil, eggs, water and pumpkin. Grease and flour a 9 x 13 cake. Pour cake batter into prepared pan and bake until a toothpick inserted in the center comes out clean. While the cake is still warm poke holes 1 - inches apart all over the cake using a wooden spoon handle or a straw. If a lot of cake comes out on the handle, wipe with a paper towel and continue poking the holes. You want the holes all over the cake. In a medium bowl, stir together the sweetened condensed milk (start with 1/2 cup and add more if needed) and the caramel dip. Pour the caramel mixture over the cake, making sure to fill the holes. It's OK if the mixture puddles on the sides. Place cake in refrigerator and let cool for one hour. Once cake is cooled, prepare the whipped topping frosting. In a large bowl add the dry pudding mix, confectioners sugar and milk. Using an electric mixer or a kitchen aid with the paddle attachment blend until the mixture starts to thicken. Fold in the whipped topping. Using a off set spatula or knife spread the whipped topping frosting evenly over the top of the cake. Sprinkle frosted cake with crushed ginger snaps or graham cracker crumbs. Garnish with additional drizzled caramel topping. Serve cold and refrigerate any leftovers. Cook's Note: If you cannot find pumpkin spice pudding you can substitute with butterscotch or vanilla pudding, and add a dash of pumpkin pie spice. To make the caramel dip easier to drizzle for the garnish, place the caramel dip in a microwave safe dish and heat on the defrost setting for 20 - 30 seconds. Using a spoon drizzle caramel on frosted cake. This cake can be prepared the night before you would like to serve it. To make it even more "Pumpkiny", I have added 1 cup of pure pumpkin puree to a spice cake mix and cut about 1/4 cup of the water out. 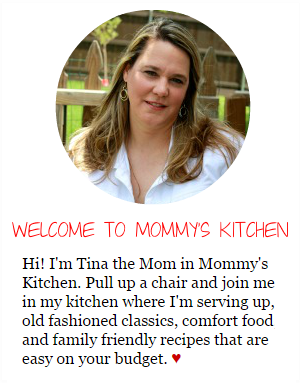 I can't wait to try your recipe!! It sounds so wonderful!! 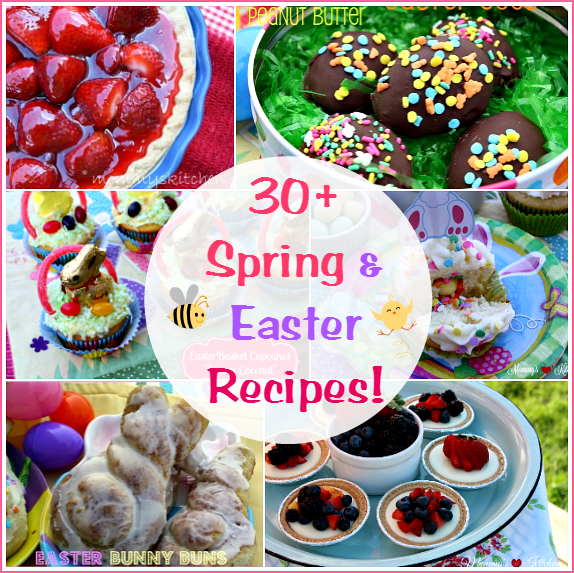 Looks delicious and so easy...I have pinned and will bake real soon! 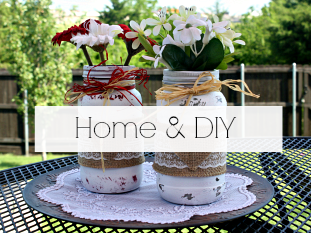 Looks so very good and so easy. Can whip this up in no time at all. I like this. I think I will add nuts (probably Hickory) and pumpkin to the cake mix plus 1/2tsp of pumpkin pie spice. Then bake it as a layer cake. Just need to double the whipped frosting. It will be a beautiful Thanksgiving dessert. You can also use a jar of caramel ice cream topping. It's much more liquified and spreadable. Do you warm the caramel before you mix it with condensed milk? Yes 30 seconds on defrost. I have never seen a pumpkin spiced jello mix, not even at holiday time. Any suggestions on who might carry this? I'm in Orange County, Cal. It isn't jell-o it's pumpkin flavored pudding. If you can't find pumpkin you can use butterscotch. Wabbitz made the comment of using caramel Ice cream topping instead of the dip - that is great because I can't find that dip ---- do you still use the condensed milk ???? Over the top good! I added the pumpkin puree to the cake as someone suggested above. I used french vanilla pudding and 2 tsp pumpkin pie spice added to give it a great fall flavor. This is replacing my overly complicated pumpkin jelly roll for thanksgiving. Thank you for sharing! I have never seen the jello either ,but last year there was a pumpkin flavored pudding sold. It was great . I'm going to buy extra this year if it is sold again. You can try Wegmans, Walmart, Kroger, or Amazon. It may not be available yet, but it should be here soon. I have found the jello brand pumpkin spice pudding at Walmart. My guests loved it! However it was way too sweet for my liking and I have a notorious sweet tooth! Next time I will use half as much caramel and condensed milk. The ingredients list pumpkin puree for the cake but the directions don't tell you to use it. They say to "Bake the cake according to package directions" and to mix the caramel dip with the condensed milk and pour over cake. I am guessing that you are adding it to the cake mix--is that right? You need to scroll down farther. Complete instructions are listed there. I am making this right now with your pumpkin sheet cake instead of a boxed cake mix. I'm excited for dessert tonight! This recipe is very simple and sounds delicious. Not sure why some are having trouble following the simple instructions. The recipe already for pumkin puree to be added when you bake the cake. Yes, you mix the caramel and sweetened condensed milk. Jello is a name brad for pudding and gelatin that everyone calls "jello". This recipe calls for a box of pumpkin Jello brand pudding mix. I will be recreating the topping since I can't stand cool whip anything. I will be using cream cheese frosting (cream cheese/powdered sugar) on top of the caramel/condensed milk gooey goodness layer. Then I will garnish as directed. The directions say to add the oil, eggs, water and pumpkin to the cake mix. It's the third sentence in the directions. I like the cream cheese icing idea why couldn't you add the pudding mix to it?!!? Think I'll try it! You could probably use vanilla icing and add pumpkin pie spice to it also! The caramel dip she is talking about is the stuff located in the produce section. Usually around the apples. I would prefer the dip over the caramel ice cream sauce as it's structure is different. Just an FYI to anyone who is lucky enough to have a Trader Joe's, they have the BEST ever Ginger Snaps. To die for. What an excellent cake recipe and I think using a Pumpkin Bar recipe would great as well. LOVE TJ's Triple Ginger Cookies! Side note: did you know these cookies are their best selling product? Can't wait to make this cake! Looks very tasty, but as usual I can't make it because it's a typical American recipe where every ingredient is "one package of ready-made X", "one package of ready-made Y" and so on. Do Americans EVER make ANYTHING from scratch? Looking at three (3) different stores today the Jello brand pumpkin spice pudding mix was not available yet though the stores were awaiting it for the next week or so (I'm from Canton, OH). I was happy to read the comments that I can use vanilla pudding and pumpkin spice mixed together. Hopefully they all enjoy it tomorrow at our Church social! I think I am just going to use cheesecake pudding mix instead of pumpkin pie spice pudding. I can't find the pumpkin pie kind any ways. Fingers crossed for a yummy outcome! 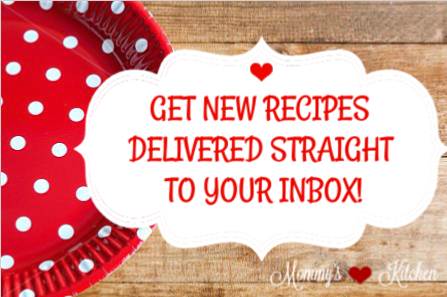 Just because the recipe doesn't suit you doesn't mean it isn't for someone else. And yes us Americans do make recipes from scratch, but there is also nothing wrong with using a mix for a recipe as well. If you don't care for the recipe it's best just to pass it by instead of being so negative. 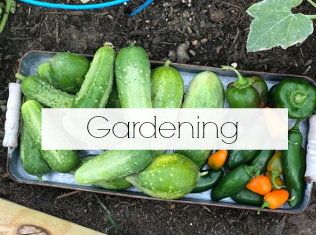 Here is a recipe you will enjoy as well as me. 1 TBS of "If you don't like it, please go back to where you came from!" 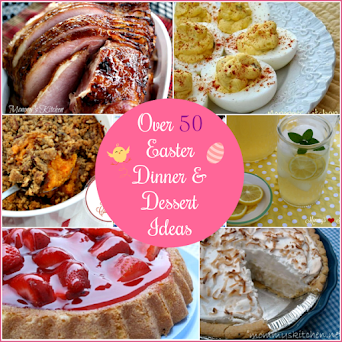 Combine above ingredients, bake at 350 and eat immediately from oven! My daughter is turning 35 today and she loves pumpkin anything, so I will be making this today with cream cheese pumpkin icing and I know she is going to love it. Sweet potato or butternut squash would be a great substitute. Available in a holiday section at Walmart with the other seasonal frostings etc. Just bought some. The pudding is available seasonally at Walmart. The pudding mix lasts forever so buy a couple extras to put in your pantry. We thought this cake was even better left over (after it was refrigerated over night). Next time I make it - I will be baking it the night before. Even people who do not like pumpkin should like this - you cannot taste the pumpkin. If you really like pumpkin - then there was a suggestion above for increasing the amount that goes in the cake - I haven't tried that but I suppose it would work. The ginger snaps on top are a must - they add a nice spice to it. Can I make this a day ahead of time? If so, when do you recommend frosting it? This cake is actually better the second day, so yes it can be prepared and frosted ahead of time. Thanks for the response Tina. This cake was amazing. Thanks for the easy recipe! You control freaks should just bake the dang recipe as called for and stop changing it! This is the recipe, if you want to Change it post your own dang recipe! It's so obnoxious to put in your 2 cents worth! Can anyone tell me how much condensed milk they have used since it says 1/2-1 cup (your preference)? I would just like to get different opinions on what would work best. Thanks!!! So excited to make this for Thanksgiving. Aimee some folks said they they thought it was too sweet with 1 cup of sweetened condensed milk and others said it was not. All I can say is start with 1/2 cup, taste it and go from there. I found the pudding @ WalMart with the seasonal baking stuff in the middle of the aisle. 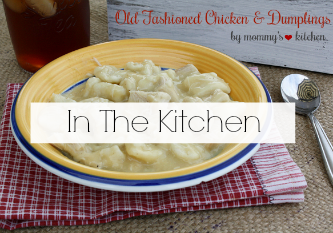 I made the recipe exactly as you are instructed to and it was AWESOME! Made it for our 16th annual sister's weekend. All 7 of us LOVED it! I believe I put in about 1/2 cup of the sweetened condensed milk. Don't alter the recipe. It was created as it is for a reason. I have now made this cake 3 times since Halloween. My family LOVES it! (and so did my coworkers) I did exactly as recipe calls except, at the time, I couldn't find Pumpkin Pie Spice jello so I used cheesecake flavored jello pudding. Thank you so much for sharing..we have a new family favorite. I made your cake for Thanksgiving 2015 & it was absolutely delicious. Easy, too! Thank you! I made this for a coworkers birthday. It got rave reviews with many people asking for the recipe. I could not find any pumpkin pudding so I just added some pumpkin purée to vanilla pudding along with some cinnamon and pumpkin pie spice. This recipe is a keeper! Delicious!